Then, Jessica Yu talks about her book Garden of the Lost and Abandoned: The Extraordinary Story of One Ordinary Woman and the Children She Saves. It’s about a courageous and compassionate Ugandan journalist who rescues children who have become lost or cast out from home. On January 1, 1959 Fidel Castro and his band of revolutionaries marched into Havana and overthrew the brutal regime of Fulgencio Batista. One of the first promises Fidel made to was to bring universal literacy to the Cuban people, which at that time was only around 60%. On January 1, 1961, two years later, the literacy campaign was kicked off. At year’s end, the percentage of Cubans who were literate had risen to 96%. It was a remarkable achievement, one that is unique in the speed and scope of its accomplishment. And it was done almost entirely by teenagers — educated, largely urban kids who were recruited into the literacy brigades by the Cuban government. 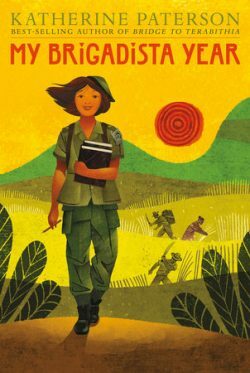 Katherine Paterson, Newberry Prize winning author of the beloved classic The Bridge to Terabithia, tells the little known story of the Cuban Literacy Campaign in her new historical novel, My Brigadista Year. It recounts the coming of age of Lora, a 13 year old girl from Havana who leaves her sheltered life to teach her fellow Cubans to read and write, in spite of dangers and privation — and who learns some important lessons about herself along the way. Katherine Paterson is the author of more than 30 books, including 16 novels for children and young people. She has twice won the Newberry Medal, for The Bridge to Terabithia in 1978 and Jacob Have I Loved in 1981. At least 5,000 children live on the streets of Uganda’s capital city of Kampala. Some forget the names of their villages. The youngest may not know the names of their parents. But Gladys Kalibbala—part journalist, part detective, part Good Samaritan—doesn’t hesitate to dive into difficult or even dangerous situations to aid a child. Author of a newspaper column called “Lost and Abandoned,” she is the one police and others turn to when they stumble across a stranded kid with a hidden history. Jessica Yu’s wonderful and inspiring book about Kalibbala is Garden of the Lost and Abandoned: The Extraordinary Story of One Ordinary Woman and the Children She Saves. It chronicles one woman’s altruism, both ordinary and extraordinary, in a way that is impossible to forget, and impossible not to take to heart. Jessica Yu is an author and filmmaker. Her short Breathing Lessons won the Academy Award. Her documentaries center on art, social justice, and the environment. We mourn the passing of one of America’s greatest mystery writers. 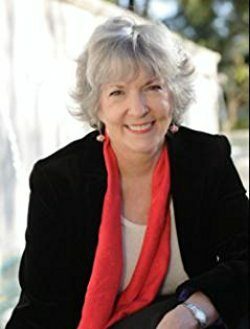 Sue Grafton died on December 28 at the age of 77. She was the best selling author of the alphabetically-titled Kinsey Milhone series. She was one of the pioneers of feminist mystery fiction and will be missed by many thousands of fans. We spoke with her in 2016 about her book, X. Listen to that interview here.